Cassie does an absolutely amazing job at organizing large and small spaces!! She is the answer to any and all organizing especially for teachers like me!!! Love her work!!! Have had a few sessions with Cassie so far, and it’s been a game changer! She’s bringing peace and organization back to our lives. Can’t say enough positive things about our experience! I worked with Cassie about a year ago and am about to call her again for a different space problem. She was a pleasure to work with and made a very difficult transition smooth. I moved to FL from a home 2x the size of my current place and then left town with instructions for Cassie of which items would go to storage and which stayed. She and I spoke several times and she was very patient . It worked out very well. Am thrilled to have such an expert in town! "Amazing how Cassie worked wonders with my master bedroom and closets in a short 4 hours! If I hadn't been there to witness her work myself, I honestly wouldn't believe it. She put me at ease as soon as she walked in and was very motivating in clearing the misc papers/clutter (from all the random hiding places) that accumulated after 3 kids and 15 years of military moves. It was intimidating to think about organization before Cassie but her approach made it sort of fun. My husband hadn't walked into his walk-in closet in 2 years! Needless to say we are definitely looking forward to the next space that Cassie can revive for us next!" "I could go on and on about how much help Cassie was and a joy to work with. She helped me accomplish in one afternoon what it would have taken months to do by myself. She was encouraging and with helped to make what we organized be functional for what my goals were for the space. She helped me with my desk and tons of paperwork, in the kitchen with drawers and cabinets with plastic containers, in the guest closet, and in my clothes closet. She also gave me other great ideas and I had so much fun that I was motivated to take on more on my own and do a better job than I would have in the past. Cassie is very easy to talk to and I was very comfortable with her going through all my things. Our house is now on the market and she was even able to help with staging it and we have gotten so much activity on the house, even during the months that are not the best to sell. I'll be moving to a new house in the next month or 2 and I'm sure I'll need her help again. Once she has helped, it is so much easier to keep things the way I want them." "Cassie came in without judgement and saw the space already clear and serene and gave me a plan for her vision. We worked together and in a day got much accomplished ! I am now able to use my office space daily which is thrilling! Cassie was awesome and I plan to use her to finish up the house"
"Serene Spaces has helped in making our house a home! Cassie is wonderful to work with. She doesn't just give you a list of ideas and ways to do it. She actually goes through the process of reorganizing with you, so that when she leaves, it's a system that will work for you and and your family! I've had Cassie over a couple of times to get rid of clutter and reorganize our kitchen, laundry room, master bedroom and bath. With having 4 kids and a smaller house staying clutter free and organized makes things run a little smoother. Having Cassie help me tackle those projects was a huge help!" 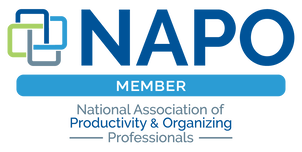 "Cassie Thompson, a/k/a Serene Spaces' organizational skills are second to none. She rescued my husband, a physician & myself, a retired lawyer when we were drowning in boxes and disorder following a move to Savannah. From our garage to our office, she brought order and has made our home an orderly, comfortable organized place to live. She even made great suggestions as to where and how to hang some of our art. We both highly recommend Cassie & Serene Spaces if you want your home to become a place where you are comfortable & can easily locate and use all the things you need for everyday living, as well as a a home with a calm, lovely atmosphere." "After having been in the same classroom for over ten years, I found that my closets and other storage spaces were becoming a haven for clutter. Although a little embarrassed, I contacted Cassie, sent her a couple of pictures of my "cluttered closets", and she was on her way out to my classroom to assess the situation and give me a hand. Well, she did so much more than that! She reorganized my closets, shelves, and other storage spaces, allowing me to find anything I needed! I hadn't seen my shelves so organized--EVER! Cassie did not judge the "mess" I had invited her in to organize, and that made me feel so much more comfortable with what I had hired her to do. She's an excellent worker, punctual, and gets the job done efficiently. She had even impressed some of my coworkers, that before she'd ever left my classroom, she already had another client booked! Trust me, this is one lady you want to help declutter your home, office space, classroom, you name it, she can do it! Thanks, Cassie!" "Cassie got the "beast" under control. After moving a few years ago from a house we'd lived in for several decades to a more compact house, I could not get a good paper storage system in place. As the "paper mountain" grew with each mail delivery, I stuck documents, bills, stubs, and papers in drawers and shelves throughout the house making it time consuming to locate specific documents or papers. Cassie very effectively helped me set up a central filing system in a closet I hadn't even considered. What a relief. Now shelves and drawers are available for other needed storage space and I can immediately locate the papers I need, and Cassie is a fun person to spend time with!" "My family & I recently relocated to Savannah and needed a professional organizer to help us get settled in as fast as possible. My wife, in particular, is very organized and Cassie completely met her standards. Cassie is fantastic. She knows her craft. She works very hard, is reasonable and very trustworthy. We have a few more projects for her and look forward to using her again. We would highly recommend her." "In one word Amazing!!!! Cassie organized my closet and now I can actually find things. Being a mother of 3 very active kids I could never find the time to purge and de-clutter my closet. Thank you for doing such a great job:)"
"Cassie created a system where I can function. I have never been organized before, and she made it possible! Paperwork is now manageable! Cassie helped me organize my house when I had no idea where to start! I live better with less stuff, and she helped me achieve an easier way to live in my house. She went from room to room, and we removed items I wasn't using and organized items that I currently use. The difference is that she organized things in a way that make so much more sense to me! She also will remove clothing and items you no longer want and will donate them to people who could use them. Thanks, Cassie!" "I'm a minimalist, I loathe clutter. But let's face it, a house with 4 people gathers junk. Along comes my friend Cassie Thompson who loves clutter- well, clearing it out that is. She makes it her mission to restore order from your chaos, and she's darn good at it. Over the past week we've attacked my closet, office space, kids' rooms, and any other space where excess creeps in. We've thrown out, recycled, and given away. If you have clutter and you hate it, call Cassie. I'm breathing a whole lot easier now." "Cassie did amazing things to help me in my kitchen!!! She helped me clean out and weed through so many things I didn't need. I'm so grateful for the great help she gave me and I can't wait to have her come back to work in another area in my home!! :)"
"Cassie organized my closet and dresser, which were disaster zones! By the time she left, everything was streamlined and easily accessible. It was liberating! Now I want her to do every space in my house!" "Cassie is amazing at what she does! She transformed our "cave" at work from a huge unorganized mess where people were tripping over everything and each other! Also things were getting lost on more than a once daily basis, to clean, organized, well laid out, and you can have more than one teacher in there at a time without tripping over them! She is always willing and more than able to answer any questions you have and give helpful ideas! She truly has an amazing gift!" "I cannot think of anyone I’d rather work with or invite into my private space. 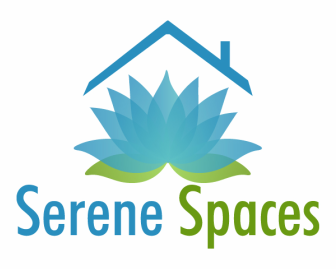 Serene Spaces is a great organization who puts the customer first. They listen to your needs and bring professionalism and creativity when organizing a space. Worth the investment for sure! Cassie helped organize my pantry/laundry room and then ventured into my kitchen (which I was convinced was already organized). She was outstanding and helped keep me on task and motivated me to purge things I hadn't used or had too much of. She brings a fresh set of eyes, perspective and ideas in organizing even your most challenging spaces (aka a small pantry)! You will not be disappointed! I am so happy with my kitchen and function so much better now when preparing meals. Thank you Cassie!! " "I live in an old house with very little storage space. I had everything a mess. She organized my kitchen and somehow magically had an empty cabinet when finished. She also organized my sons room, its so nice to be able to walk around in his room since Cassie came. Next I'm scheduling her for my office. She is amazing at what she does." "I can not even begin to tell you how good it feels to be more organized & I have Cassie to thank!! Do not underestimate the value of an organized home or office!! A few weeks ago Cassie helped me organize my overflowing craft area.. As well as my kitchen clutter! I did not realize how many piles of paper were stashed all over my Kitchen! It was a bit overwhelming at first, especially when we took everything out into the open, but in just a few hours she helped me complete an impossible (in my mind) task! Now I can actually find what I'm looking for, & know where to put things when I'm done with it! Everything has its place & that is huge! It may not seam like much but with 1million things fighting for your attention all day, looking at all that clutter really did drive me nuts! Thanks for all your help Cassie & for motivating me to tackle some other problem areas!!" "Cassie is top notch in what she does. Whether you have a big mess on your hands or a small unorganized stack of papers, Cassie can help you get everything in order for it to function fully for YOU."